Hey, I was wondering, has the book come out yet? 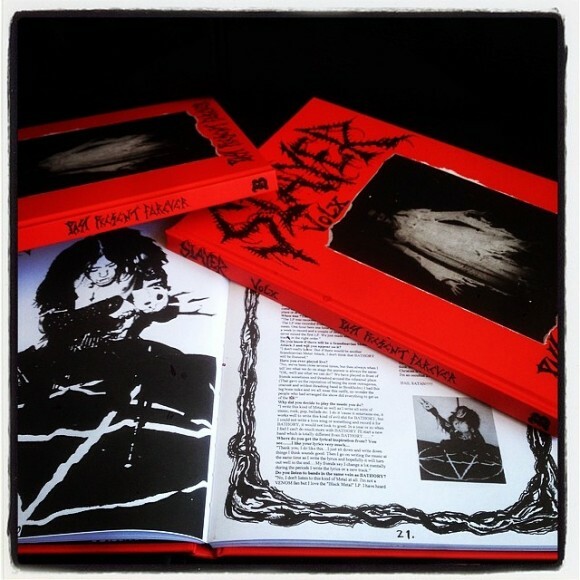 I just found out about it and would like to get my husband, a big fan of Nirvana a perfect Christmas gift. My other questions are, do you ship internationally and how much is the shipping to the Czech Republic? At last, a Nirvana story with a happy ending. 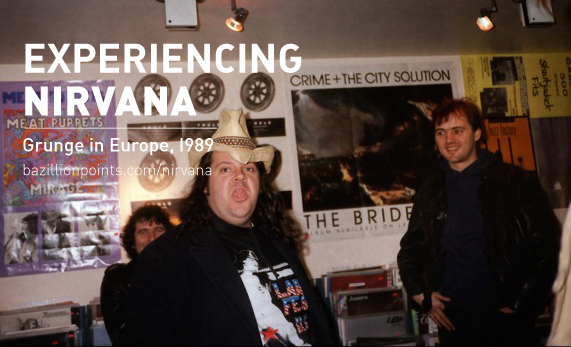 This intimate photo journal captures eight days in Europe with Nirvana, Tad, and Mudhoney in 1989. 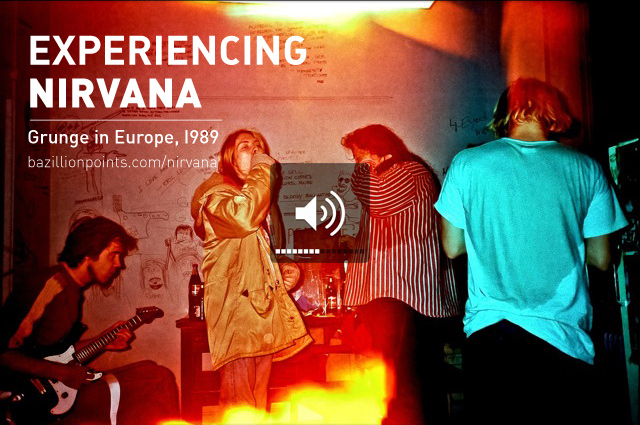 Experiencing Nirvana: Grunge in Europe, 1989, is a photo journal and a grunge rock micro-history; an inside look into a crucial eight-day period in the touring life of Nirvana, and two other Seattle bands, as seen through the eyes of Bruce Pavitt, the co-founder of Sub Pop Records, the Seattle label that first signed Nirvana in 1988. 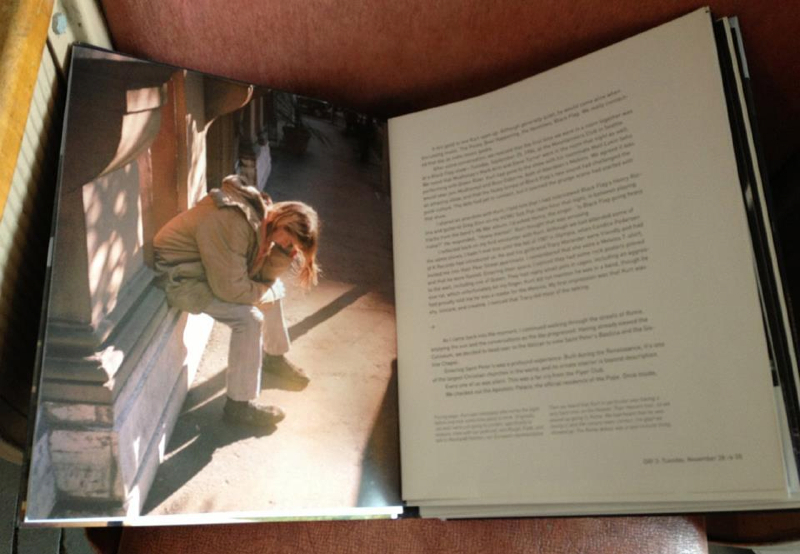 The dramatic eight days covered in this book, from November 27 through December 4, 1989, represented a turning point for Nirvana. 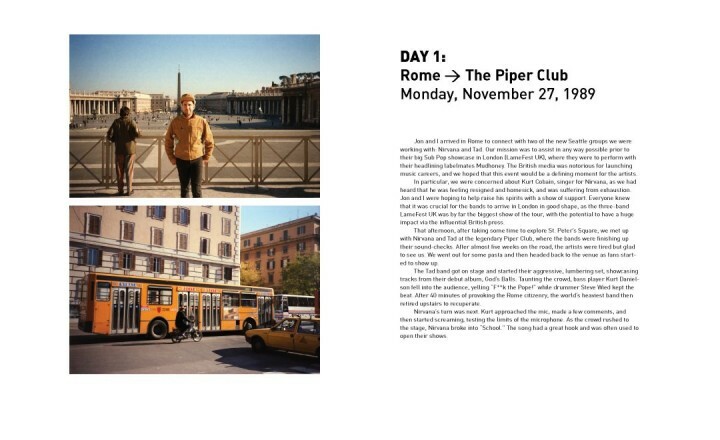 In this brief period, the young band went from breaking up in Rome to winning over the influential British music press at Sub Pop’s LameFest UK showcase in London, setting the stage for their looming leap in popularity. 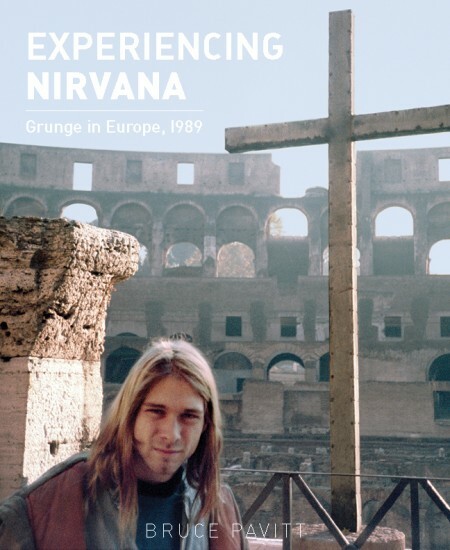 On November 27, 1989, when Bruce Pavitt and his Sub Pop partner Jonathan Poneman arrived to meet Nirvana in Rome, the band was almost finished with a grueling six week tour of Europe. Although determined to promote their grungy, riff-heavy debut album, Bleach, Nirvana’s travels with fellow Sub Pop act Tad had left them exhausted. 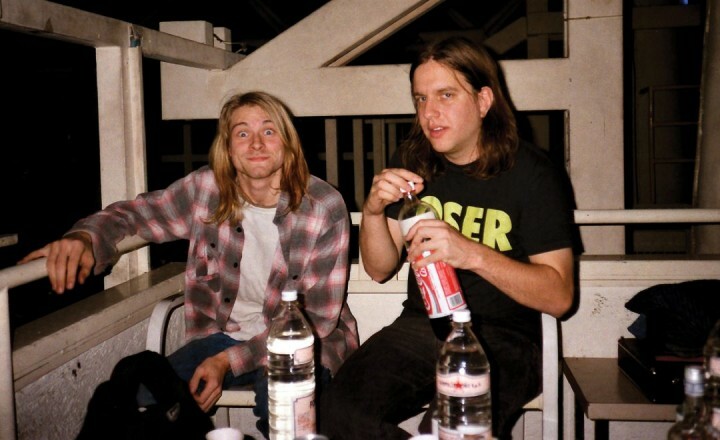 Pavitt and Poneman did their best to revive the spirits of a frustrated and downcast Kurt Cobain. Despite a threatened leap from a 14-foot speaker tower, soon followed by the theft of his passport and wallet, Cobain managed to continue to London, where Nirvana played the biggest and most important show of its career to date. 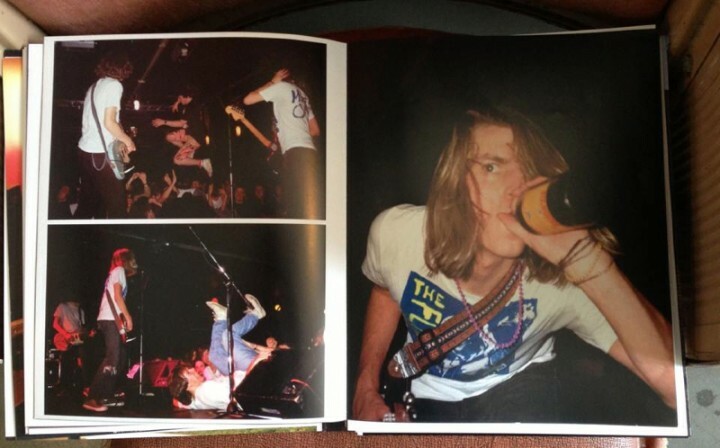 Nirvana’s breakthrough night at the 2,000-capacity Astoria Theatre in London featured three Seattle Sub Pop acts: Nirvana, Tad, and popular headliners Mudhoney. 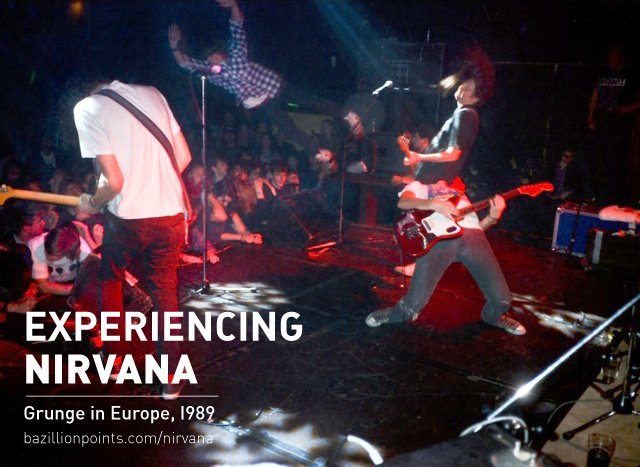 Nirvana opened the show, and their heart-pounding performance won over the crowd and changed the band’s fate. 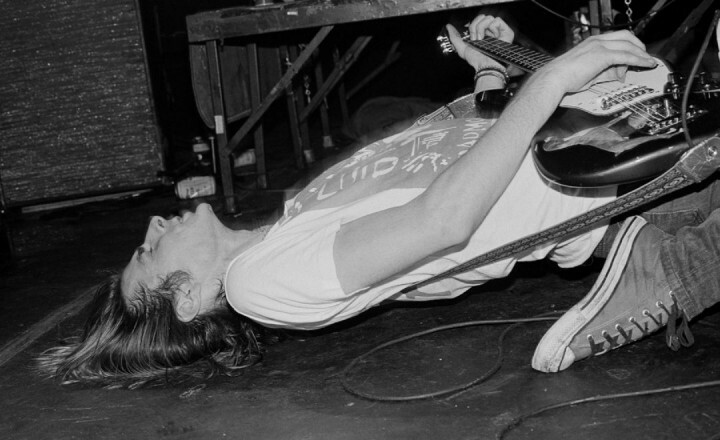 The powerful London music press proclaimed that Nirvana was “Sub Pop’s answer to the Beatles.” After that night, the world’s attention began to focus on the band that would become the biggest rock act of their generation. 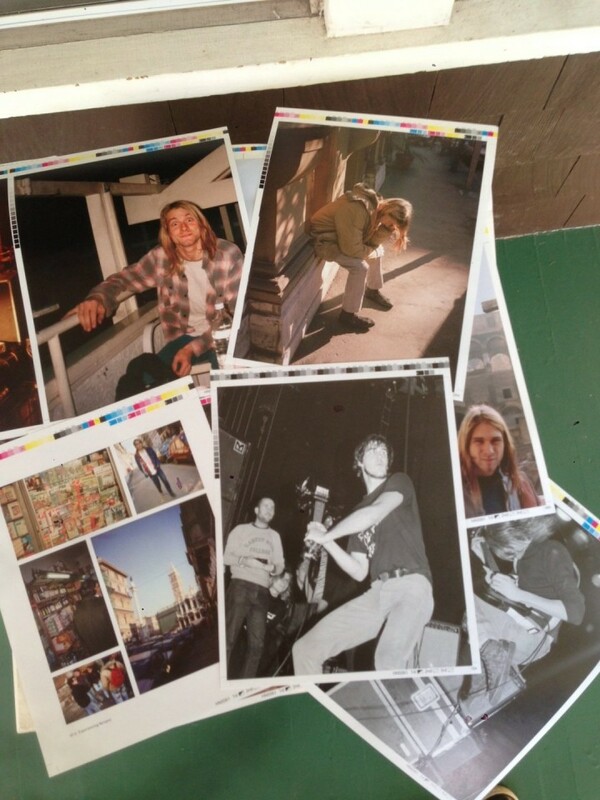 Bruce Pavitt started his Sub Pop zine in 1980, in Olympia, WA. In 1986, he launched the Sub Pop record label. 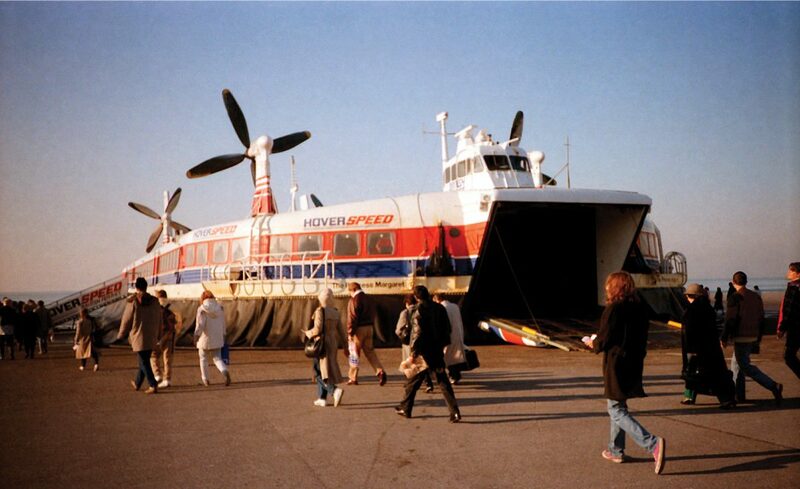 In 1988, Sub Pop opened the doors to offices in downtown Seattle. 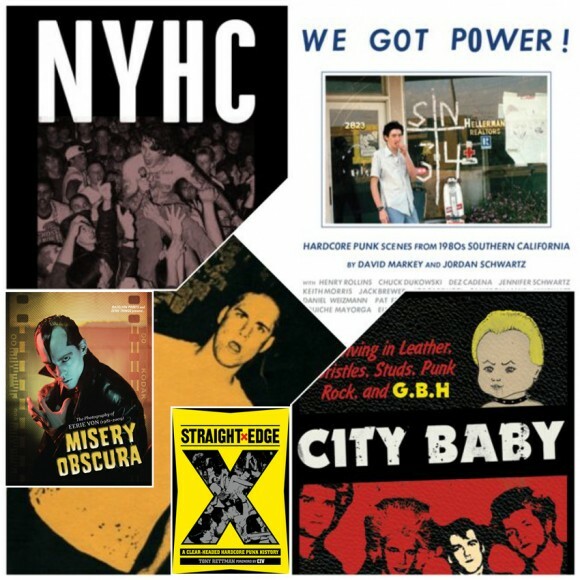 By the early ’90s the label had released recordings by Nirvana, Soundgarden, Mudhoney, Mark Lanegan, Beat Happening, TAD, The Walkabouts, Steven Jessie Bernstein; and helped initiate a global interest in Seattle area music. 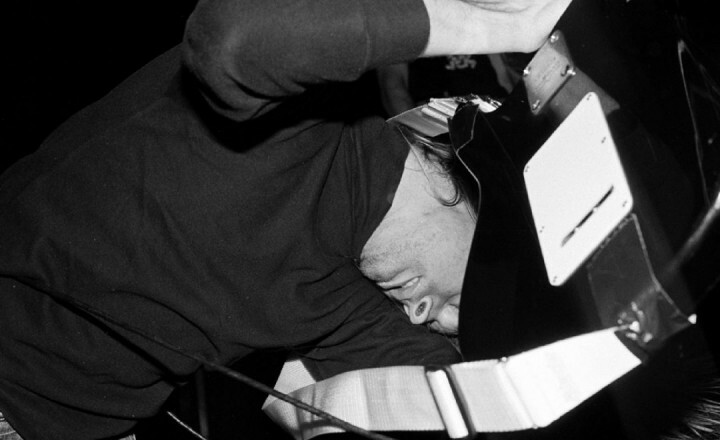 Bruce keeps engaged in music by periodically speaking at conferences and festivals, consulting with artists and music labels, and working as a DJ. Steve Double’s work is held in the permanent collection of Britain’s National Portrait Gallery. He is old enough to know better. 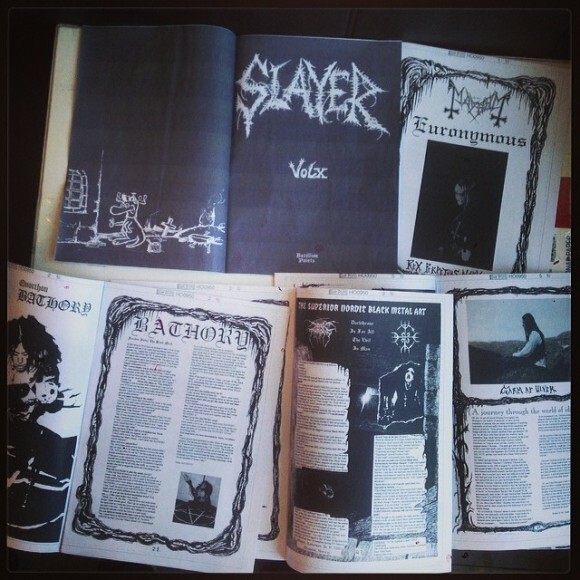 This book helps support Seattle’s Vera Project.